It is incredible that even after 15 years of checking into five star hotels I had never seen the inside of a hotel gym. Nor swum in the hotel swimming pool. Or used a hotel spa. All complementary facilities but never used. What is true of hotel is true of home as well. There is a decent swimming pool in the apartment complex I stay in. And a decent gym at the “club-house”. The only time I have entered the pool is when during winters, a few years ago, they had drained off the water to clean the pool and the pool was used as the dance floor for the New Year party. And I have visited the gym only twice: the first time to show off to a visitor of ours the facilities I had bought into with the purchase of the apartment. The other time was to locate my kids; I thought they may have found it a cool place for playing hide ‘n’ seek. So it was with some hesitation that I entered the hotel gym some days ago on my travel a few days ago. I have been taking brisk walks in the evenings of late, not much, about 30 minutes. My doctor has proclaimed that it will help control my blood sugar levels. I have taken the advice seriously. To the extent of even carrying my walking shoes etc. on my recent travels to be able to do the needful in the hotel gym. It was not so bad after all. Simple, really. You walk onto the treadmill, switch the machine on, adjust a few controls like your weight, speed, duration of the walk etc and you, well, start walking! I am provided with a nice thick hand towel to wipe my sweat and a bottle of water by the gym guy/ girl as I start. Much better alternative to a handkerchief which I carry in my pocket as I walk on the paved pathway of the apartment building where I stay. If I am lucky I may see a nubile, curvy female on the neighboring treadmill. On the pathway I see my wife’s friends. I get to watch live TV as I tread the mill. At home I get to hear my neighbours’ snatches of gossip. I do not run the risk of bumping into wife’s friends who stop me just as I am gathering speed. And throw at multiple questions at me. Like: Oh! When did you start walking? When do you start your next travel? When did you return from your last travel? Where is your wife? I walk or run without the risk of bumping into kids learning how to cycle, lads learning how to play basketball. I do not have to dodge the odd dog being taken for a walk. I do not have to worry about the barks of the odd (and even) dog. I have no risk of tripping on the odd pebble on the pathway. The gym’s treadmill as smooth a baby’s bottom! My wife is not around in the hotel gym to keep an eye on the time I walk. Or don’t! Oh! I love the gym! Another bonanza year for AB fans. “Shaan”, “Barsaat Ki Ek Raat”, “Naseeb”, “Laawaris”, “Silsila”, “Kaaliya”, “Yaarana”. What a bunch! “Shaan”: An under-rated movie like “Kala Patthar”. I think this movie was too classy for its times. And can you forget the “Shakaal” act by Kulbhushan Kharbanda? And the menacing manner he caresses his shaven pate and menacingly mutters in a low tone: “Yeh jazeera bam ki tarah phoot padega”. “Barsaat”…” was directed by Shakti Samant going downhill pretty rapidly, while “Naseeb” (MKD) and “Laawaris” (Prakash Mehra) were representative of their director’s forte. “Yaarana” was an uncommon pairing of AB with Neetu Singh but thoroughly enjoyable. “Kaliya”, I remember not only for AB but also for the Radio Ceylon jingles for the film which started and ended with the echoing slogan “kaaliya, kaaliya, kaaliya, kaaliya”. “Silsila”! How heart-breakingly gorgeous did Rekha look! 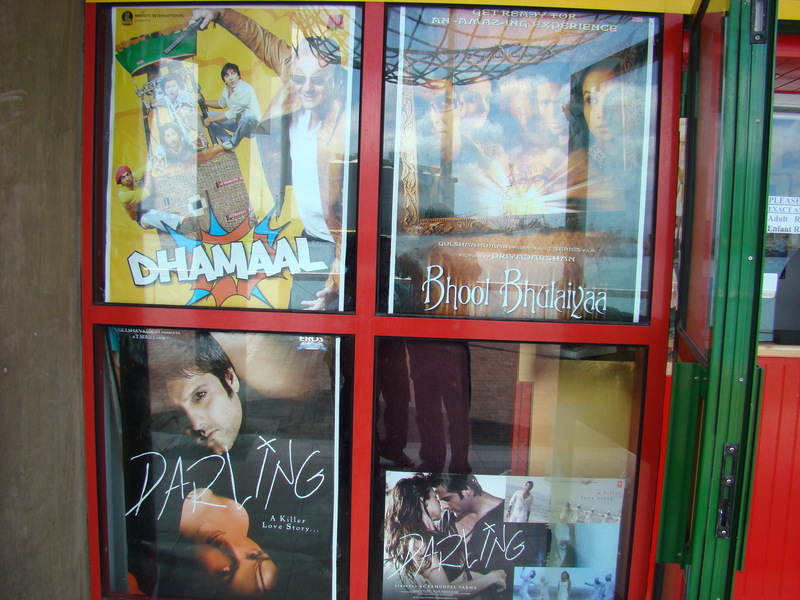 I was a big, big fan of Rekha; the walls of my hostel room were adorned with posters and picture cuttings of Rekha. And the brooding AB, the poet. The tulip fields. The songs. Everything about the movie was perfect! My birthday movie, and the movie of the year was, “Ek Duje Ke Liye” at Kanhaiya Chitra Mandir. Tragic story of geography coming in the way of two lovers. A Madrasi pitted against a North Indian. This K. Balachander movie starred Kamalahasan and Rati Agnihotri. Besides the tragic tear-jerker of an ending and the super-super hit songs, I remember one scene from the movie. Kamalahasan challenged to prove his love for Rati burns her photograph, stirs the ash into a cup of tea and quickly proceeds to gulp down the concoction. A case of Rati na sahi to “ash” sahi? Not a bad choice! One of the last movies of the year was the gorgeous Rekha’s “Umrao Jaan”. What times those were, Amitabh Bachchan and Rekha in full bloom! The birthday movie was seen under fairly unusual circumstances, parts of Varanasi was flooded and the area around the university campus (Lanka, etc.) had a couple of feet deep water. 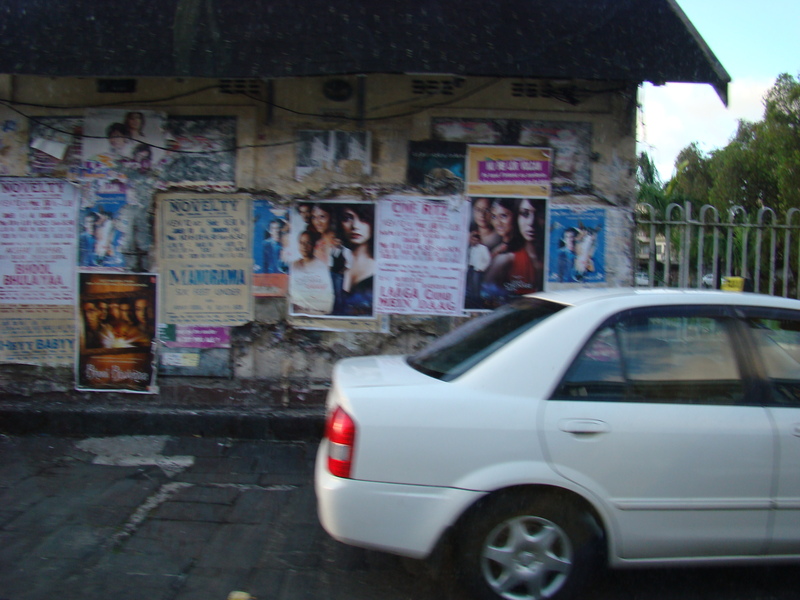 However the cinema halls in the city were operational. There was no way I could miss the annual ritual on my birthday. With two brave-hearts for company, I set out to see AB’s “Khuddar”, a rollicking story with such bizarre scenes like AB’s taxi flying over the traffic on busy Marine Drive of Bombay. We would have done well to possess such a taxi in those times of flooding in Varanasi! The song “Angrezi mein kehte hain ki I love you” topped Binaca Geet Mala that year, surprisingly beating “Pag ghungroo” of “Namak Halaal” to the second place! Which song do you still remember? And which song do you join in chorus during a drunken evening even now? And that brings me to the other AB films for 1982: “Satte pe Satta”, “Namak Halaal”, “Desh Premee” and one of my all time favorites, “Shakti”. I remember the first time I saw “Satte pe Satta”. The movie was released while I was visiting parents in Jamshedpur. Jamshedpur those days rarely had the privilege of screening the latest movies. I was dying to see this latest AB movie. So I did the next best thing possible. Immediately upon reaching the Varanasi Cantt station, a group of us landed at the cinema hall (Anand), suitcases/ hold-alls and all and thoroughly enjoyed the movie! What a time it was to be living in, with AB’s movies being released nearly once in two months! 1982 was the last year I saw a movie on my birthday. No particular reason, just that all quirks need to die some day! Movies still remain a passion for me! The year was an eventful one for me. For one, this was the year when I took my Std 12 exam and it was time to bid adieu to Nagpur where I was studying for “plus two”. I did make amends for this lapse very quickly after the JEE; on 9th May I saw two movies on the same day, a re-run of Rajesh Khanna/ Mumtaz starrer “Do Raaste” and anew movie, Reena Roy’s “Asha”. Remember the song “Sheesha ho ya dil ho, toot jaata hai”? Probably this 7-week abstinence from movies helped me to qualify in the JEE. And I was on my way to study Metallurgical Engineering at the Institute of Technology, Banaras Hindu University (IT-BHU for short)! The only thing remarkable about the birthday movie that year was the circumstances in which it was seen. I was pretty ill in the days preceding my birthday. I had a severe stomach infection which was taking its own time to go away. In fact, I had to skip my classes for a few days. I was weak and I could barely walk. Let alone cycle a few kilometers to see a movie. I had nearly given up on the birthday movie ritual, there was no way I could see a movie. My room partner for 3 months who had become a very good friend of mine (he still remains a great friend over the last few decades despite separations in time and geography) would have none of it. The disciplined sportsman (university champion in javelin-throw and an ace half-back for our football team) that he was, he knew the importance of adhering to a regular exercise routine. To his mind, there was no way I could skip watching a movie on my birthday! No way! So off we were, yours truly “double-riding” on his Hercules cycle, all the way to Deepak Cinema. We watched, well you have guessed it right, yet another forgettable movie. This was a re-re-run of “International Crook” starring Dharmendra. Deepak Cinema was typical of cinemas in Varanasi. People smoking inside the cinema halls. People putting their feet up on the back-rest of the seats ahead of them. Stinking and over-flowing urinals. Paan stains all around. Seats missing, sometimes only the back-rest remained. Loud whistles at all inopportune times. But we would take all that in our stride. Banaras is Banaras. And yes, I did enjoy the movie all right, after all it was my birthday! Patrons’ good health or not. The show must go on! You are currently browsing the Santosh Ojha's Weblog blog archives for September, 2008.